One of the most important types of creative activity for young children is creative play. Creative play is used with familiar materials for the children in a supportive environment. Therapists use various forms of creative play such as storytelling, role playing or imaginative play to help children open their feelings to the therapist. Play is the serious business of young children and the opportunity to play freely is vital to their healthy development. Play fosters mental development and new ways of thinking and problem solving. Through block play, children are confronted with many mental challenges having to do with measurement, equality, balance, shape, spatial relationships and physical properties. One of the strongest benefits of play is the way it enhances social, physical and cognitive development. Playful social interactions begin from the moment of birth. Play helps develop each child's unique perspective and individual style of creative expression. Play expresses the child's personal, unique responses to the environment. 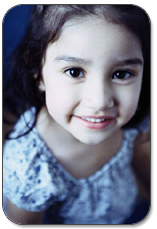 Play is a self-expressive activity assists in the child's imagination. Play is open-ended, free-form and children have the freedom to try out new ideas as well as old ideas to create the world of imagination. We can create a stimulating environment in the school system for the teachers and their students. All children need to be truly creative. Children must be given the freedom to commit themselves completely to the effort and make their own activity. Creative experiences can help children express and cope with their feelings. 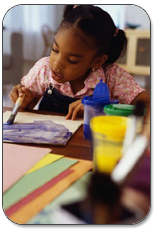 A child's creative activity can help teachers to learn more about what the child may be thinking or feeling. Creativity also fosters mental growth in children by providing opportunities for trying out new ideas, and new ways of thinking and problem-solving. Creative activities help acknowledge and celebrate children's uniqueness, individuality and diversity. Children perceive the world through their senses. Sensory awareness work leads to a greater understanding of themselves and their surroundings. It strengthens the imaginative powers and increases abilities to experience life with greater meaning. The critical skills necessary for purposeful and self-directed living often are rooted in learning to: realize child's uniqueness, individuality and diversity. Children with special needs benefit according to their own physical, mental, emotional and social capabilities. For example children who have ADD or ADHD will respond very well to creative play materials such as sand or clay. As therapists we are able to assist the child in exploring his/her emotions in a positive and constructive way. Cognitive learning is stimulated through creative play. Research shows that the right hemisphere of the brain (sensing and feeling side) functions through activities that enhances their imaginations and creativity. The left hemisphere organizes sequential and logical skills such as language and speech. Children need to have good concentration when they are sitting in their classrooms. Self-control is enhanced by the capacity to concentrate and focus. Children must learn what it feels like to concentrate. Many teachers state that the child is unable to sit in one place and concentrate on school work. Creative play helps the child to learn what focusing feels like, it can be a frame of reference for other activities where concentration is more difficult to achieve. When a child learns various techniques to adjust in the school system and the larger community, the child also learns to respect individuals who enter his/her personal space. They learn to respect other people’s limitations and boundaries and an easy way is to teach them through creative play. The most important benefit of creative play is to develop confidence and Self-esteem in your child. As therapist we teach the child to develop new skills and enhance their social participation by involving themselves in creative play.